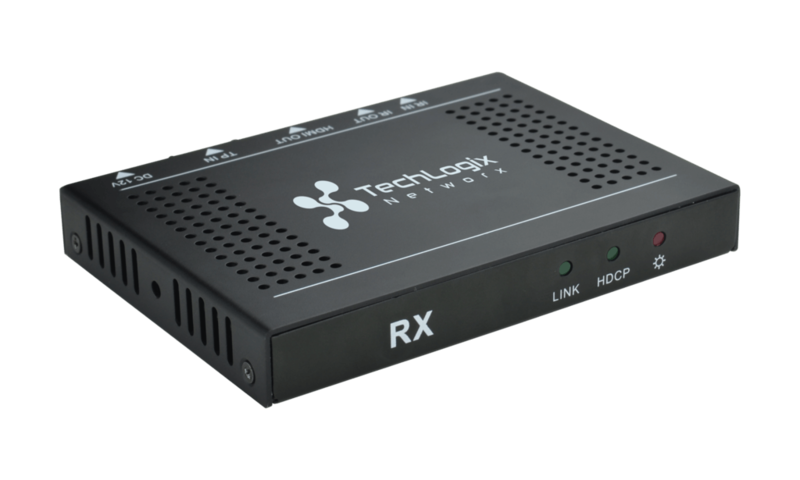 TechLogix Room Kits presentation switchers redefine the usability, versatility and cost of huddle room, meeting room and classroom collaboration. 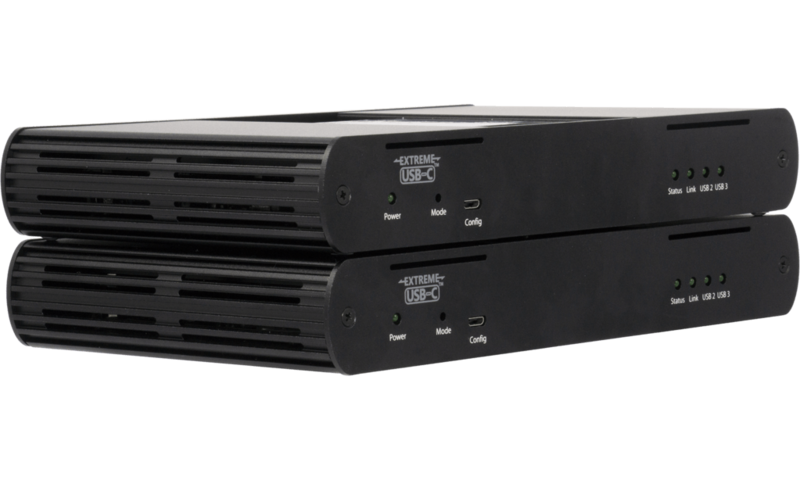 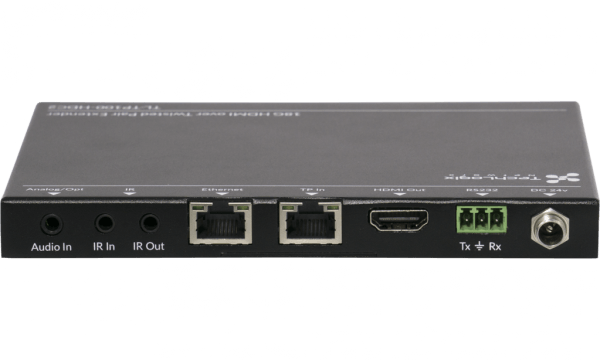 When paired with the included table inserts or input wall interface plates, the systems switcher provides both AV switching and display control for the cost of most 40″ displays using innovative table insert controllers and a professional-grade switcher. 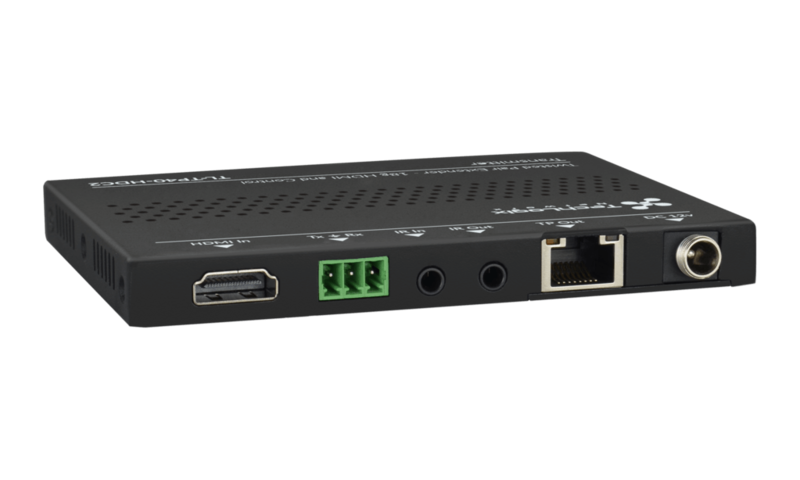 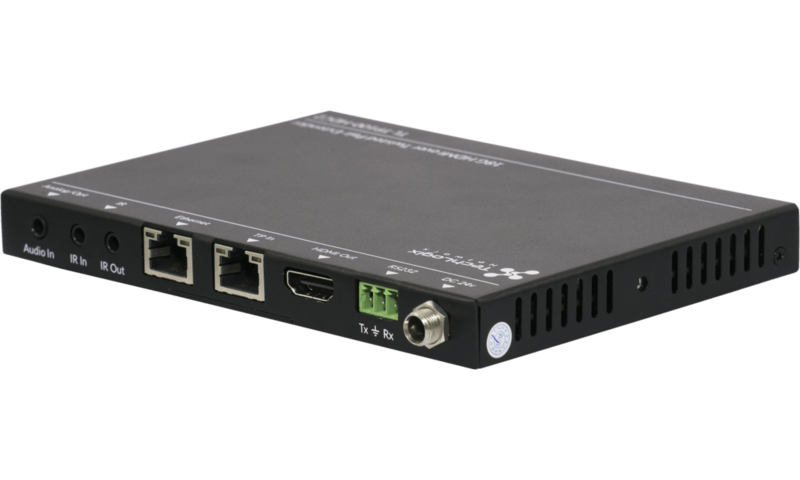 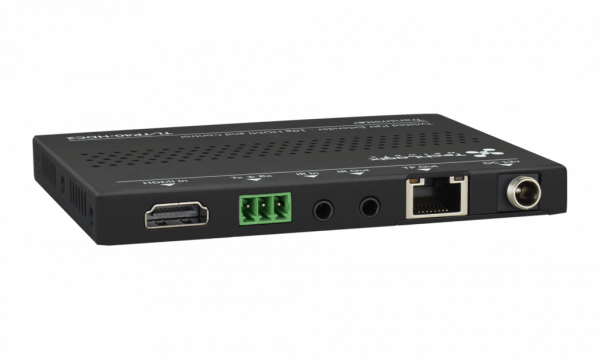 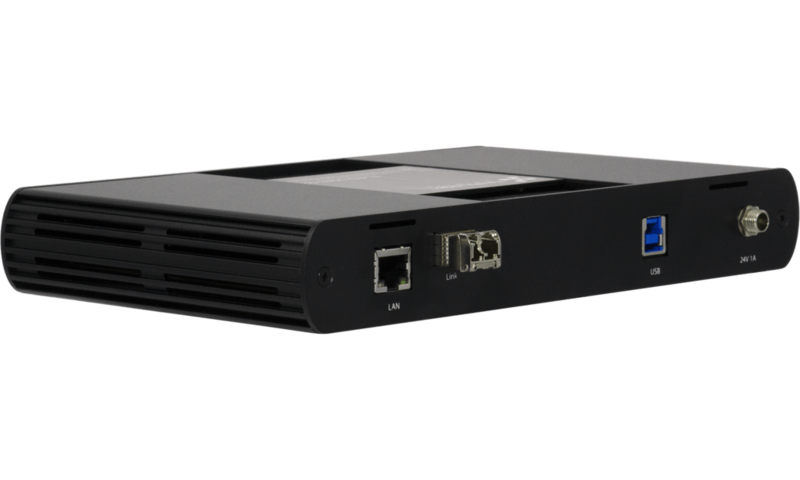 The TechLogix TL-TP100-HDC2 revolutionizes high-bandwidth HDMI signal distribution by transmitting 18G HDMI signals, including HDR and 4K@60 4:4:4, up to 100m (330 ft.) over shielded twisted pair cabling (Category 5e or greater). 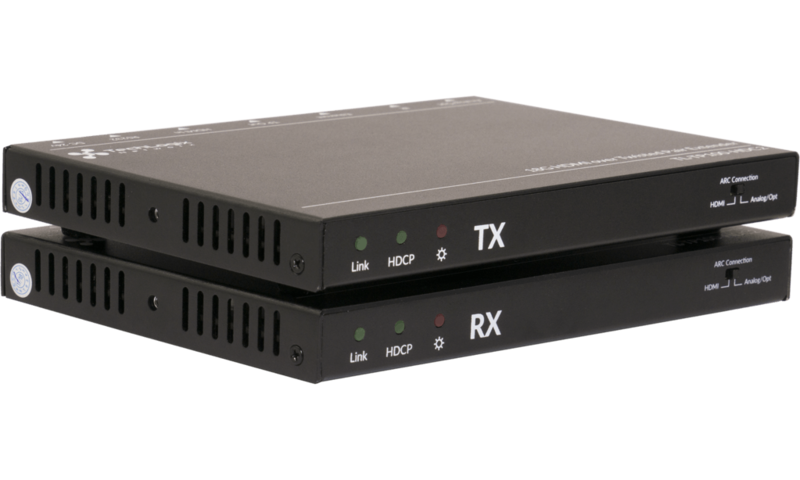 The system works by lightly compressing signals above 10G for twisted pair transport, and then uncompressing the signal at the destination end. Flexible options for ARC (Audio Return Channel) allow the receiver to accept HDMI, analog, or digital optical. 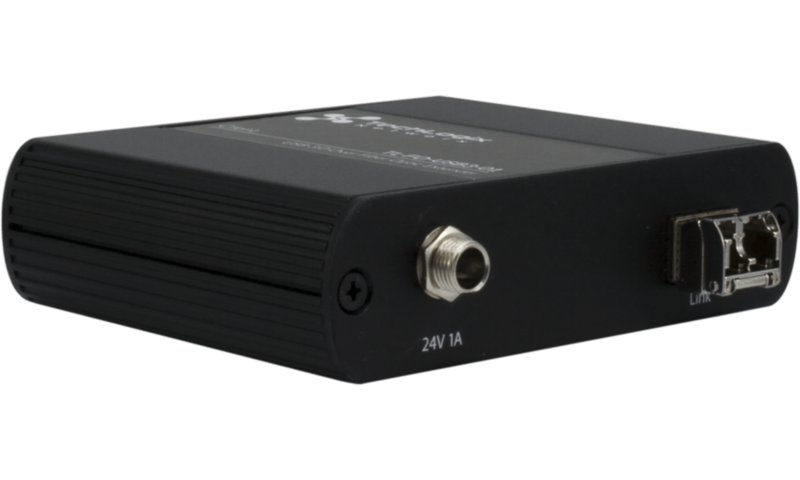 The transmitter can output the audio on HDMI, analog, or digital optical outputs. 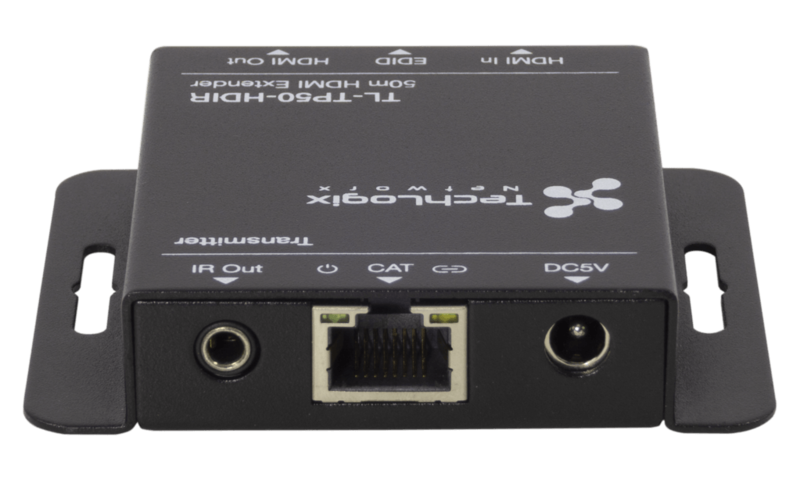 Additional built-in features such as flexible power with Port-Saver™ protection, IR and RS232 signal distribution, and Ethernet pass-through make the TL-TP100-HDC2 extremely powerful and extremely flexible. The set includes a power supply with international adapters and mounting brackets. 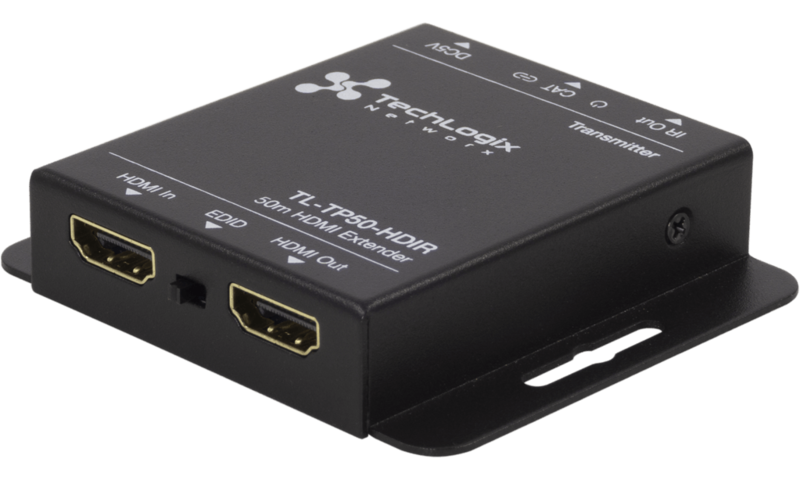 The TL-TP40-HDC2 replaces a traditional HDMI cable with active electronics designed specifically for sending video signals up to 130 feet. 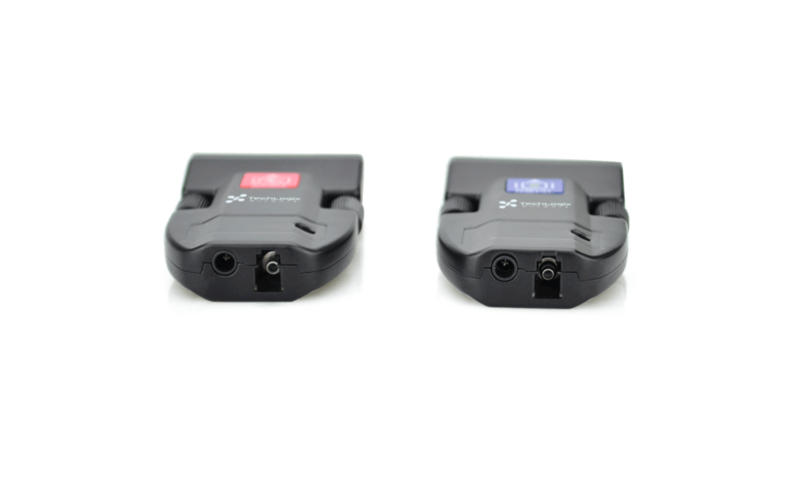 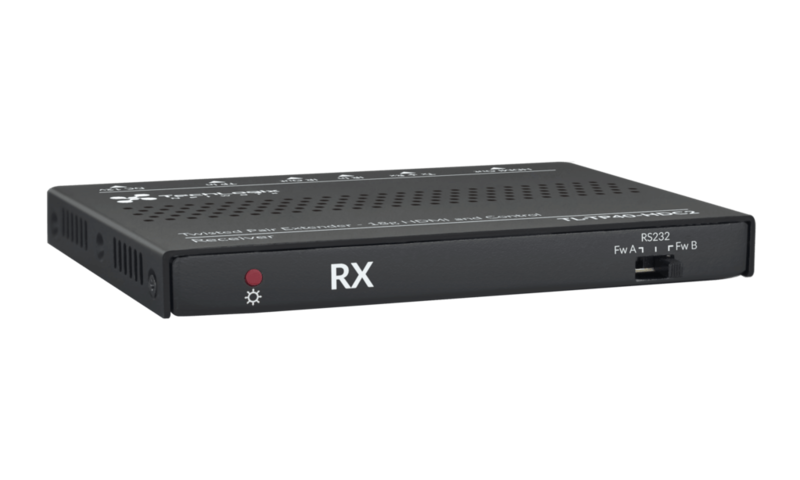 Plus, built-in IR and RS232 control signal embedding allow you to also transmit remote control commands with the HDMI stream. In actual practice, this means you can use the TL-TP40-HDC2 to send audio and video signals from your source device (often a switcher, cable box, or DVD player) to your destination device (often a display or projector) and control the source device remotely…all using a single twisted pair cable. 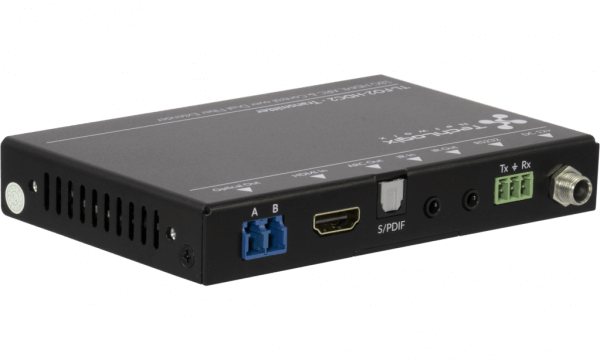 In other words, you can install your source device in a remote closet or cabinet and control it with the same remote control used for your display. 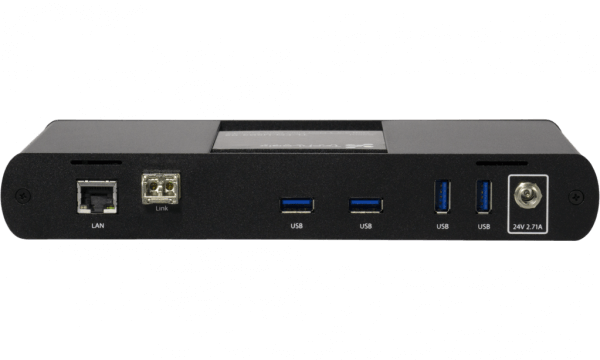 Now that’s a clean installation! 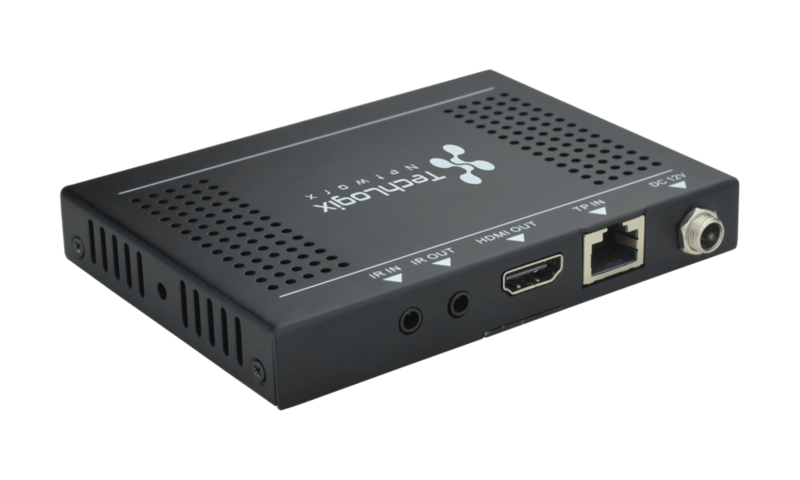 HDMI cables are great for transmitting audio and video signals short distances, but larger buildings and larger rooms often need electronics inline to ensure signal performance. 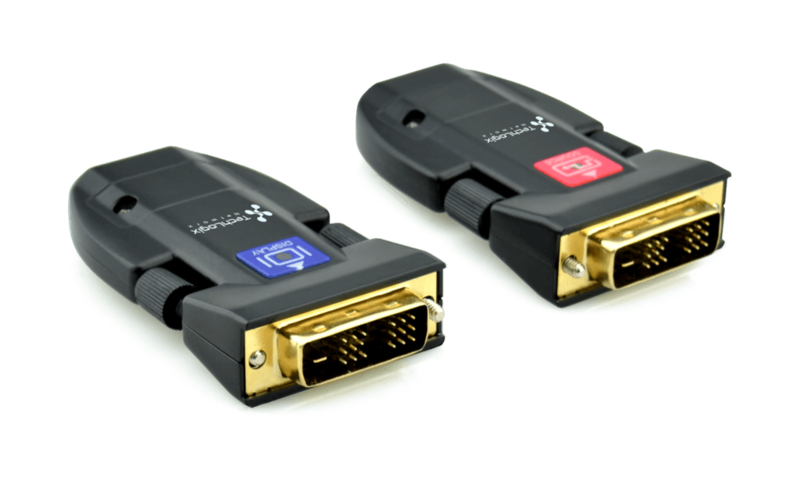 Simply pulling a long HDMI cable or connecting multiple HDMI cables together can cause signal drop out, interference, pixelization and a host of other signal and performance problems. Enter TechLogix fiber optic extenders. 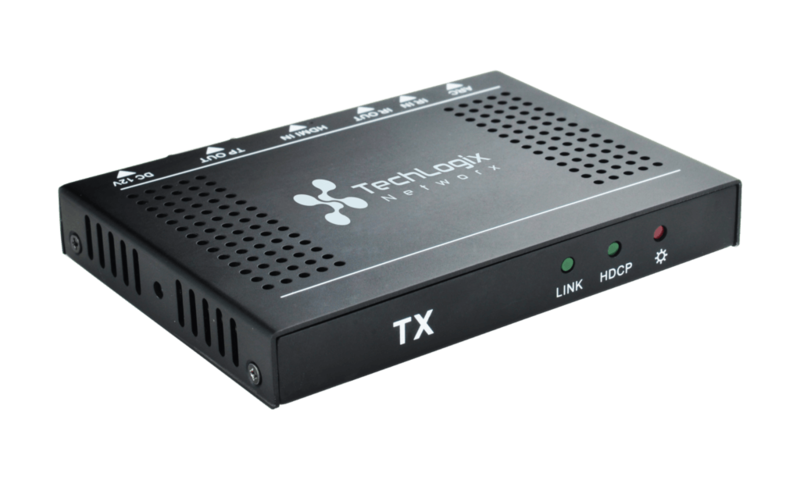 This cutting-edge technology future-proofs installations by offering industry-leading signal quality and bandwidth transmission. 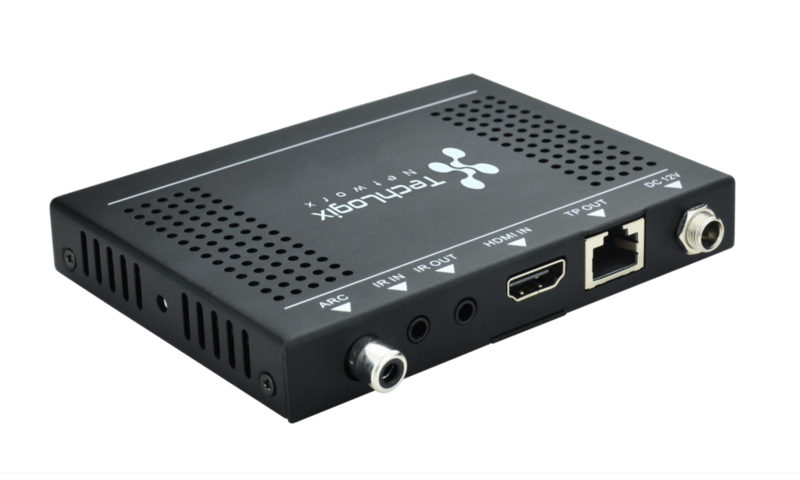 Plus, unlike copper HDMI cables and twisted pair extenders, fiber is immune to RF and EM interference ensuring performance for years to come. 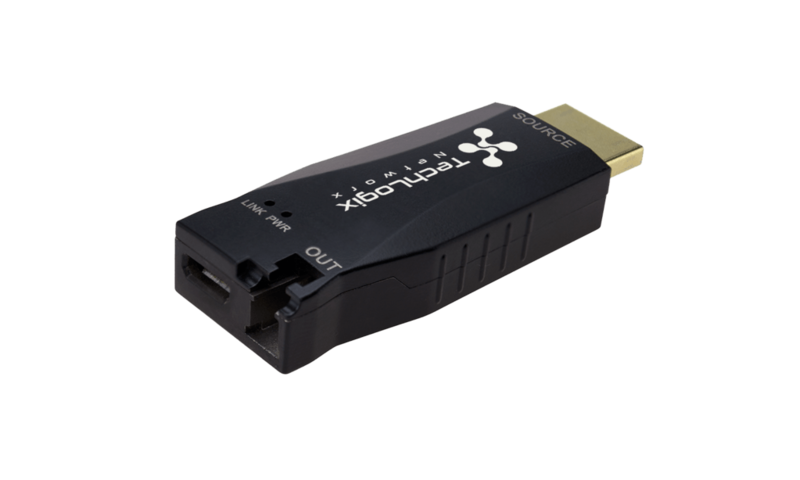 USB-based devices are notoriously hard to extend. 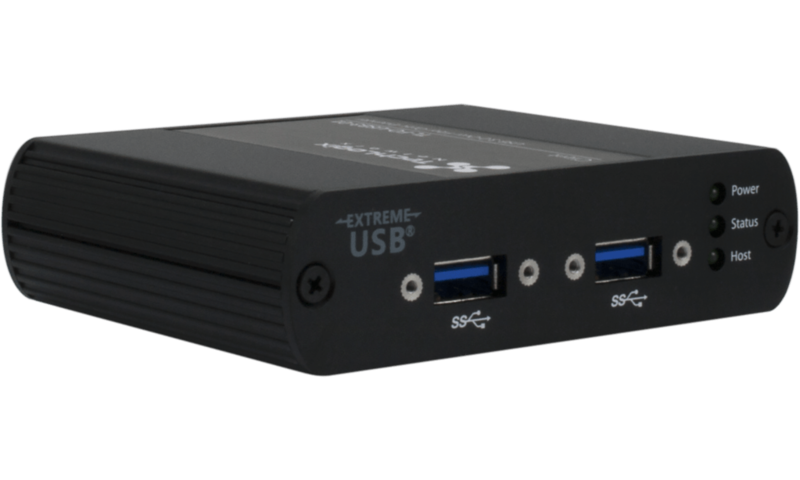 The USB specification limits maximum cable lengths to 3 meters (about 9 feet 10 inches), which leaves many applications searching for an extension solution. SuperSpeed (USB 3.0) cameras in particular often are left short in collaborative spaces, especially considering huddle rooms, meeting rooms, classrooms and lecture spaces are increasingly integrating cameras for recording and remote conferencing. TechLogix tackled the issue with the TL-FO-USB3-01, which transmits SuperSpeed USB signals up to 100 meters (330 feet) using duplex fiber optic cabling. 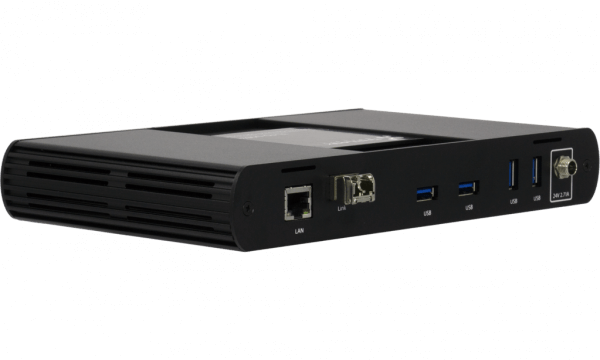 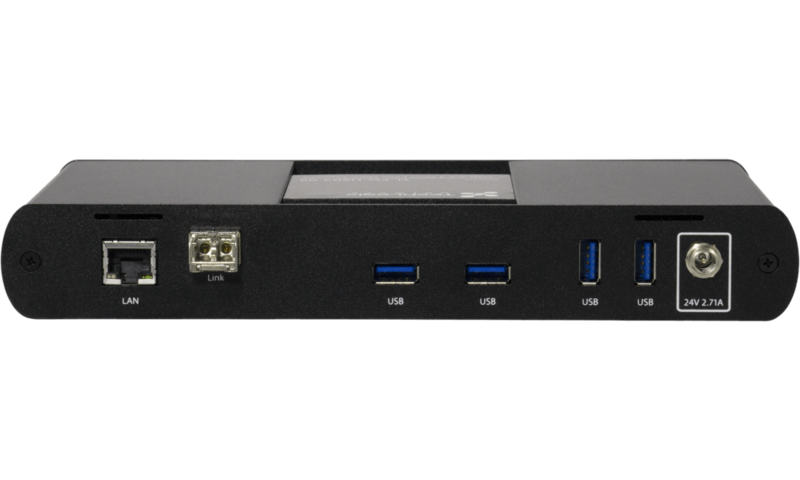 The TL-FO-USB3-01 features a built-in two port hub and supplies 900mA power to connected devices. 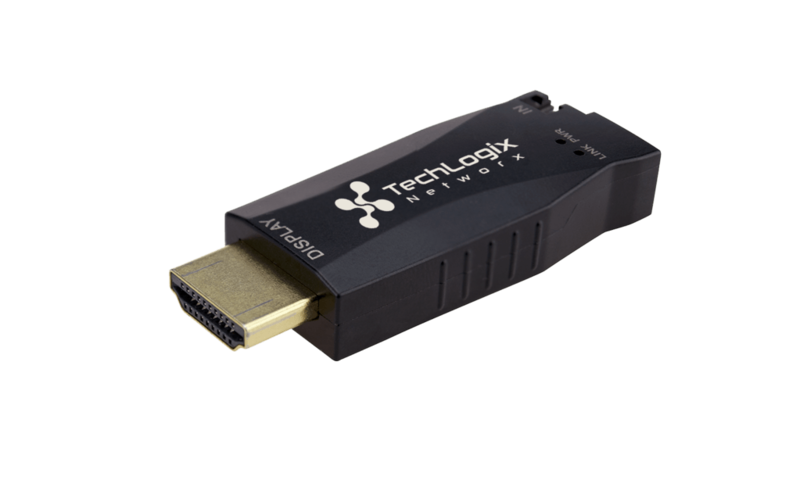 The TL-FO-HD replaces a traditional HDMI cable with active electronics designed specifically for sending audio and video signals up to 1,000 feet. 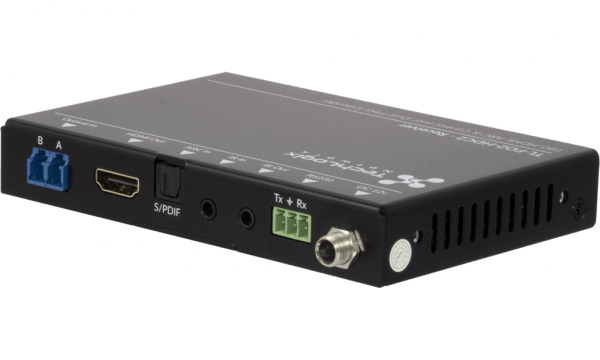 Simply connect the TL-FO-HD transmitter to your source device (often a switcher, matrix, DVD player or cable box), connect the TL-FO-HD receiver to your destination device (often a display or projector), connect the two units with a fiber optic patch cord (sold separately), and connect the power supplies. Unlike boosters or twisted pair extenders, the TL-FO-HD uses fiber optic technology that is immune to outside electrical interference and will better future-proof your facility. DVI cables are great for transmitting digital video signals short distances, but larger buildings and larger rooms often need electronics inline to ensure signal performance. Simply pulling a long DVI cable or connecting multiple DVI cables together can cause signal drop out, interference, pixelization and a host of other signal and performance problems. 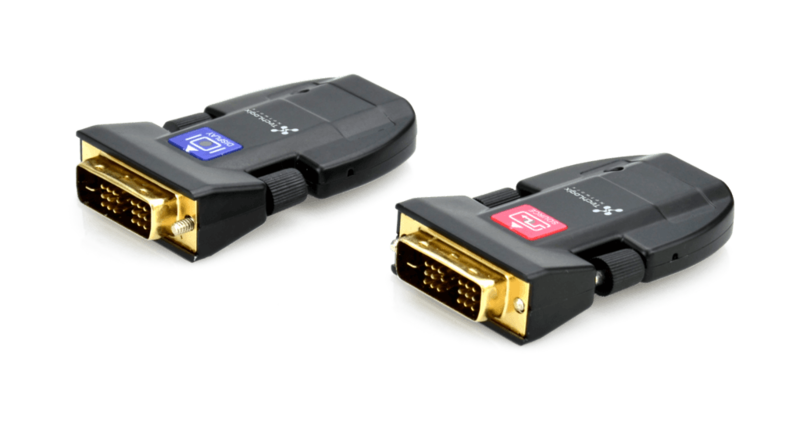 The TL-FO-DVI replaces a traditional DVI cable with active electronics designed specifically for sending video signals up to 1,000 feet. 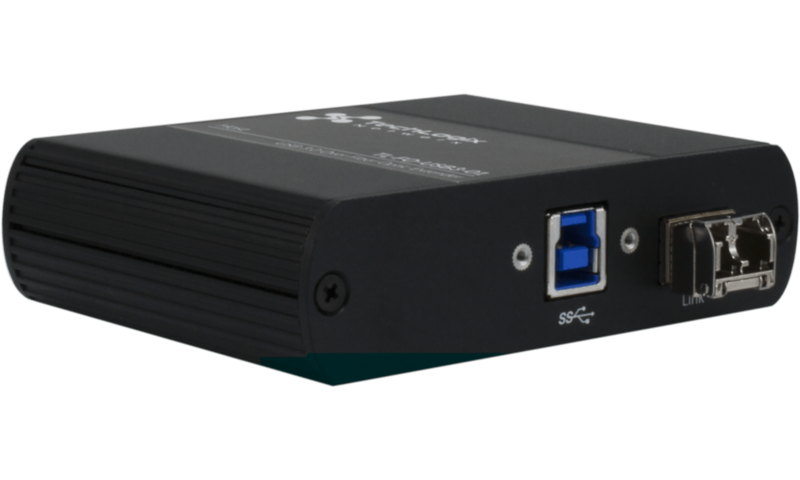 Simply connect the TL-FO-DVI transmitter to your source device (often a switcher, matrix, video processor or computer), connect the TL-FO-DVI receiver to your destination device (often a display or projector), connect the two units with a fiber optic patch cord (sold separately), and connect the power supplies. 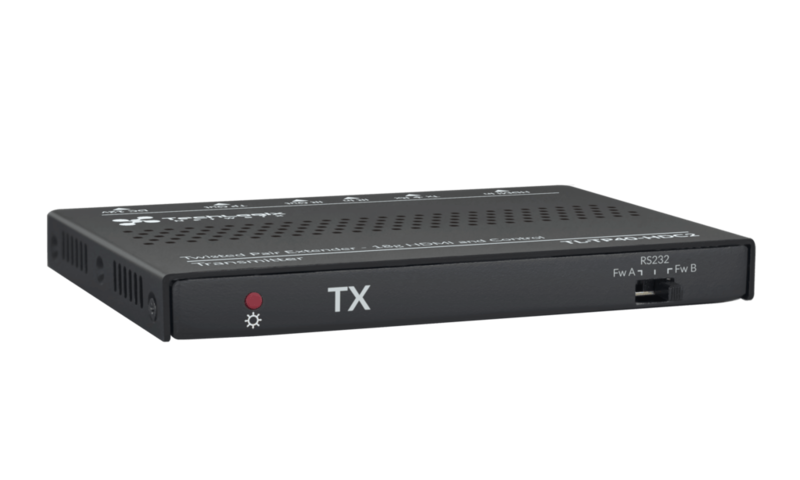 Unlike boosters or twisted pair extenders, the TL-FO-DVI uses fiber optic technology that is immune to outside electrical interference and will better future-proof your facility. 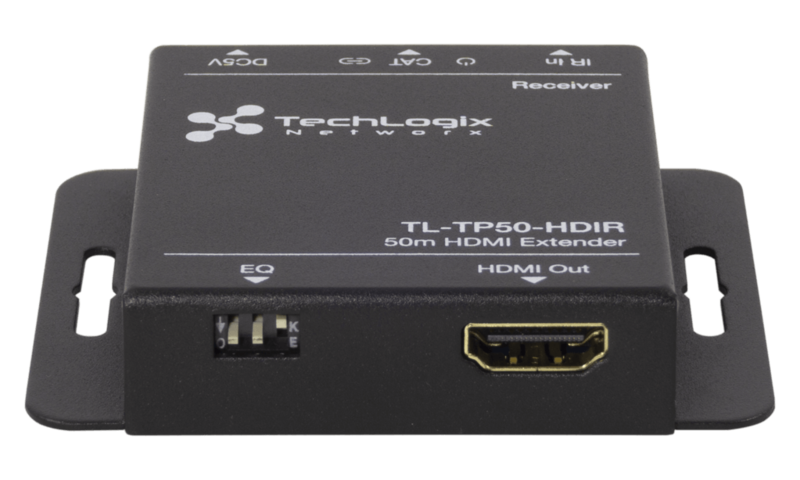 The TL-TP50-HDIR replaces a traditional HDMI cable with active electronics designed specifically for sending video signals up to 165 feet. 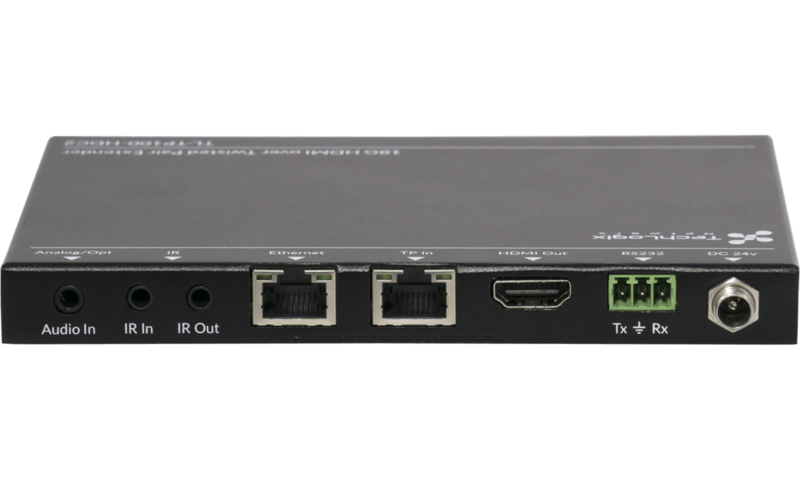 Plus, built-in IR control signal embedding allow you to also transmit IR commands from the remote room to the equipment rack or source device. 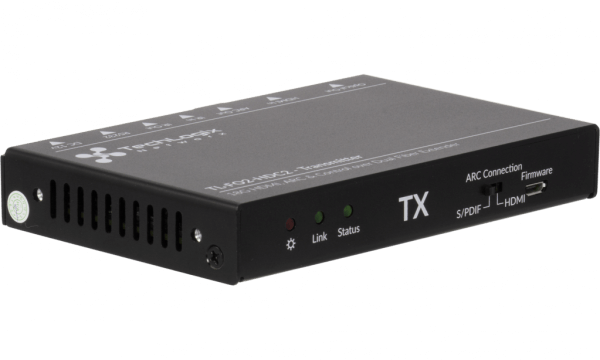 In actual practice, this means you can use the TL-TP50-HDIR to send audio and video signals from your source device (often a switcher, cable box, or DVD player) to your destination device (often a display or projector) and control the source device remotely…all using a single twisted pair cable. In other words, you can install your source device in a remote closet or cabinet and control it with the same remote control used for your display. 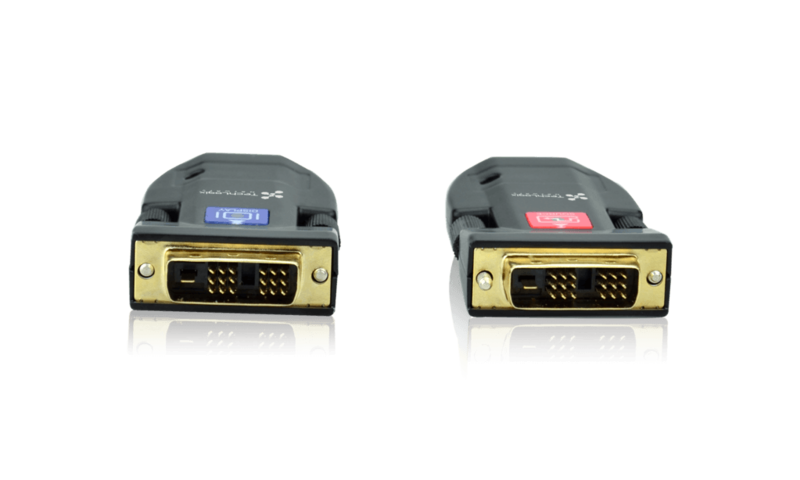 Now that’s a clean installation! 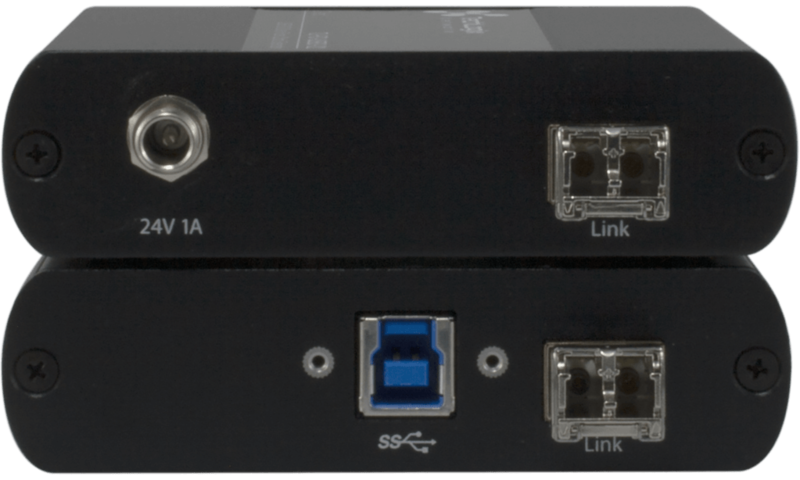 Note the TL-TP50-HDIR require shielded twisted pair cable with shielded connectors. 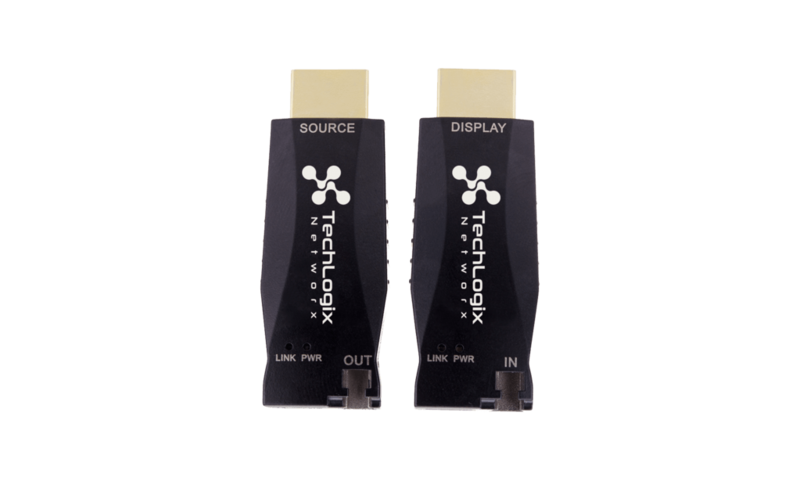 The TL-TP70-HDIR replaces a traditional HDMI cable with active electronics designed specifically for sending video signals up to 230 feet. 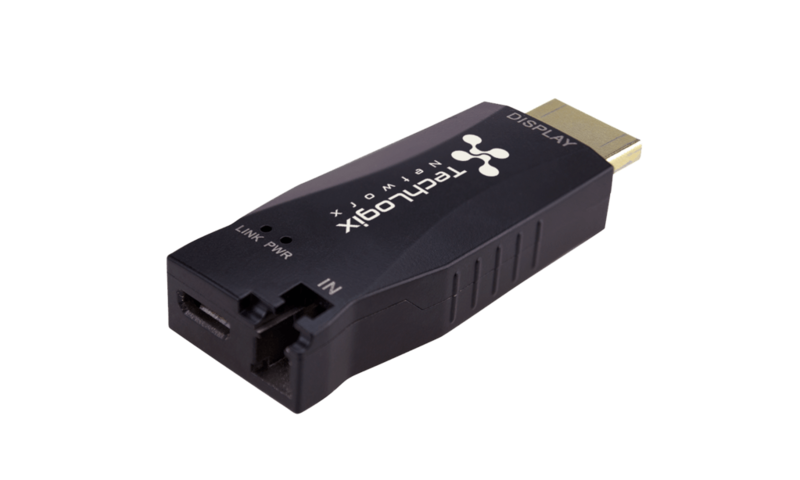 Plus, built-in IR control signal embedding allow you to also transmit bi-directional IR commands with the HDMI stream. 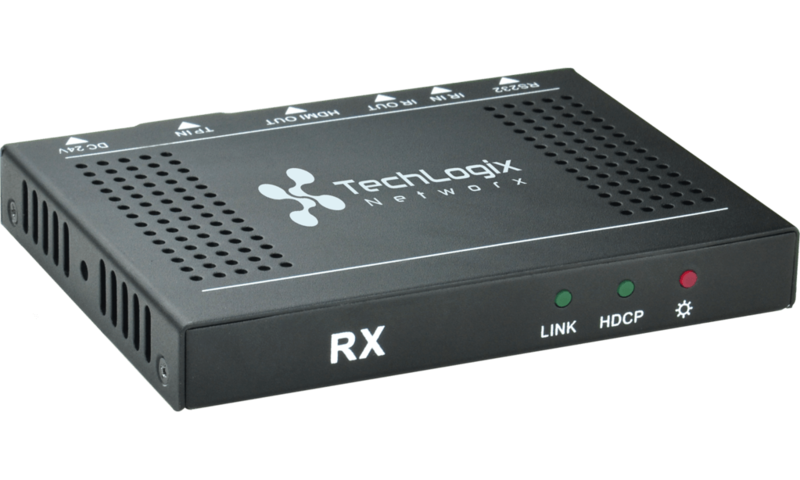 In actual practice, this means you can use the TL-TP70-HDIR to send audio and video signals from your source device (often a switcher, cable box, or DVD player) to your destination device (often a display or projector) and control the source device remotely…all using a single twisted pair cable. 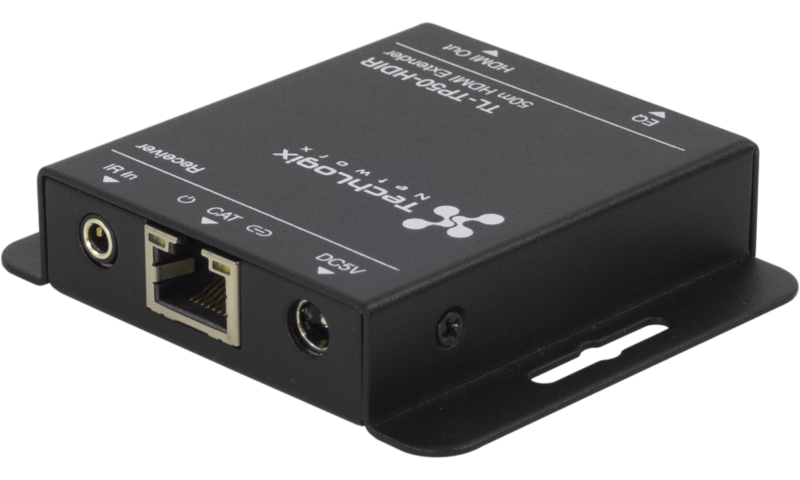 In other words, you can install your source device in a remote closet or cabinet and control it with the same remote control used for your display. Now that’s a clean installation! 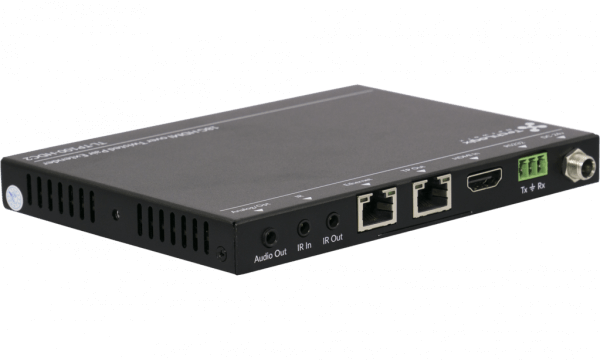 In actual practice, this means you can use the TL-TP70-HDC to send audio and video signals from your source device (often a switcher, cable box, or DVD player) to your destination device (often a display or projector) and control the source device remotely…all using a single twisted pair cable. 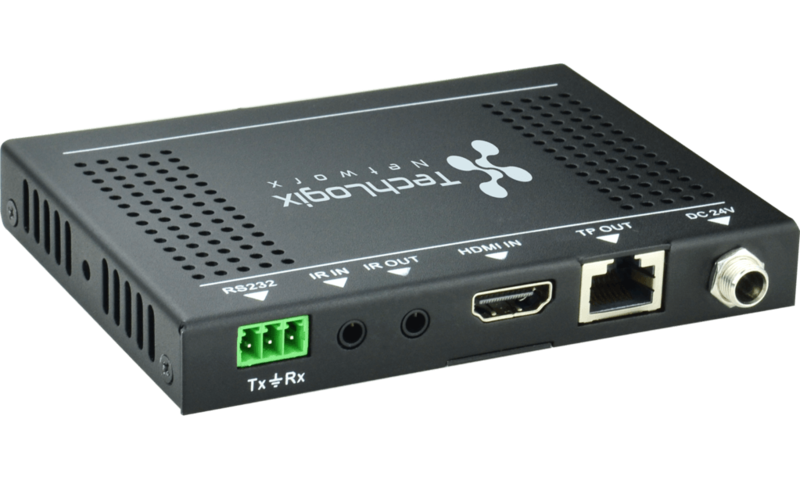 In other words, you can install your source device in a remote closet or cabinet and control it with the same remote control used for your display. 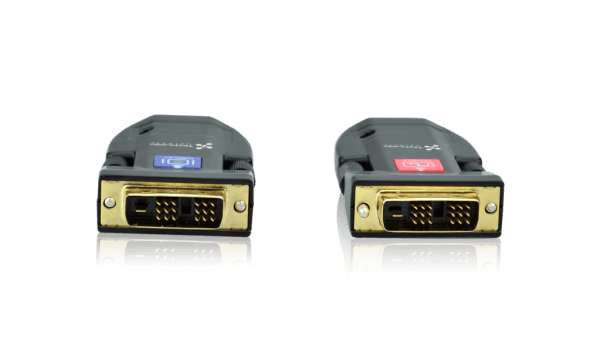 Now that’s a clean installation!